Anxiety in commodity and freight markets about prospects for global coal trade has receded, amid resumed growth over the past twelve months. But worries about the longer term trend are still at the forefront. Environmental pressures remain prominent and competition from alternative ‘cleaner’ sources of energy, especially gas and also renewable energy are a real threat. At present, estimates for coal trade in 2017 are provisional. Based on available data coupled with best guesses about the missing elements, the annual increase last year was substantial. Many of the largest importers are known to have raised their volumes. This outcome is a sharp contrast with what happened in the previous two years, when a weakening trend seemed to be becoming a pattern which might persist over following years. One overriding problem for forecasters now is uncertainty surrounding the global coal market’s ongoing strength and how much support exists for further trade growth, during 2018 and later as well. There are widespread expectations that a longer term robust upwards trend in coal import demand around the world is unlikely, indeed highly unlikely. Nevertheless, another increase this year does seem to be a probable outcome, although a flat or decreased overall volume is also a possibility, perhaps resuming the earlier negative trend pattern. Energy demand in general, and coal demand in particular, has been supported over the past year by a stronger performance in the world economy. This positive trend looks set to persist during the twelve months ahead. Based on recent indicators, and assumptions about how the main economies — USA, European Union, Japan and China — will evolve, the immediate outlook seems quite promising. According to the International Monetary Fund’s latest (January) update, progress in 2017 was enough to raise the world economy’s gross domestic product growth rate by half a percentage point, from 3.2% in 2016, to 3.7%. This measure of goods and services output could accelerate again, albeit modestly, to 3.9% this year, according to IMF economists’ calculations. Major contributors to the GDP improvement last year were several countries which are key coal importers — China, Japan and European countries. An exception was India, seeing a reduced rate of economic expansion which was still robust. The USA’s acceleration greatly boosted the global economy’s trend, but US implications for coal trade as an importer are limited, because it is mainly an export supplier to the international market. If the broad economic background remains favourable this year, coal trade will derive some benefit. The IMF’s chief economist observes that “as the year 2018 begins, the world economy is gathering speed”, an encouraging sentiment. More specifically, this trend implies rising levels of production in energy-consuming industries. But the downside for coal is the increasing intensity of government measures in numerous countries, designed to cut air pollution and reduce carbon emissions, a determined and forceful effort seemingly set to persist for many years. The coal trade year of 2017 was remarkable, because the global import demand trend revived solidly, confounding expectations of a flat or lower volume. During the preceding two years what had been previously a strongly expansionary evolution, over a long period, abruptly went into reverse. In 2015 a 5–6% actual reduction in seaborne coal trade occurred, followed by a flat twelve months with no growth in 2016. Current estimates of the upturn last year vary. One recent calculation was revealed early last month by the Australian Government Department of Industry, Innovation and Science (AGDIIS), which regularly publishes detailed analysis. This estimate, which includes land movements but is mostly comprised of seaborne shipments, is shown in the summary table above. It suggests that 2017 growth was minimal, with coal trade volume increasing by only 7mt (million tonnes) or under 1% from the previous year, to 1,366mt. Alternative estimates by reputable forecasters, all of which are very provisional because comprehensive data for the final part of the year is not yet available, show a larger annual increase. For example, according to mid-January reports, the German coal importers association estimates that world seaborne coal trade during 2017 grew by 1.5%. Other analysts point to a likely 2% to 5% growth range. These figures seem to be more in line with specific indicators and market observations than the alternative assessment depicting no significant increase. Both steam coal and coking coal trade sub-groups appear to have seen higher volumes in 2017. The smaller category, coking coal trade, comprising around one- fifth of overall coal movements, was supported by a pickup in steel production in many large producing countries. In the dominant category, steam coal trade, comprising the remaining four-fifths, additional electricity generation in coal- fired power stations using imported fuel was a feature. Higher imports into China and South Korea provided a sizeable boost for the world total last year. 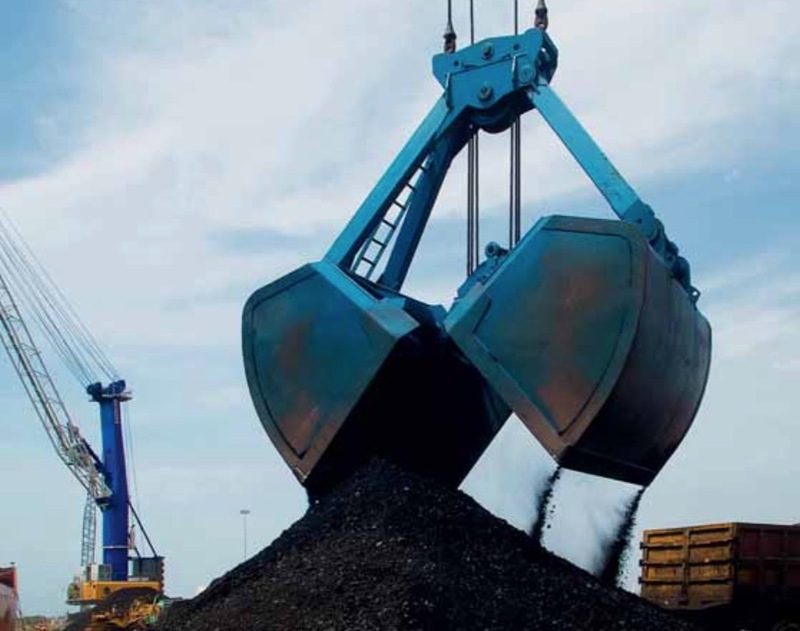 China’s overall coal imports including low-grade lignite rose by 16mt or 6% to reach 271mt, although the positive impact on seaborne trade was limited by a 7mt rise in overland shipments from Mongolia. South Korea reportedly saw a large 13mt (11%) increase to more than 131mt. Among other prominent buyers, a limited extra volume apparently was seen in Taiwan. Several other key importers, including Japan, India and European Union members as a group, are estimated to have recorded similar volumes to those received in the previous twelve months. Changes among suppliers affected the geographical pattern of global coal trade. Early-reported figures available reveal that number two supplier Indonesia raised its annual export volume in 2017 by 24mt (7%) from the preceding year, to 371mt. In South Africa, another of the world’s key suppliers, exports from the Richards Bay port which comprise most of the country’s foreign sales increased by 5%, to a record high 76.5mt level. Four-fifths of that quantity was sent to customers in the Asian region. Australia is the number one coal supplier and the 2017 export total is estimated to have fallen to around 370mt. The coking coal element, contributing the dominant part of global trade in that sector, weakened sharply. This outcome resulted from disrupted movements and loading delays, caused by Cyclone Debbie in late March. By contrast, US coal exports which previously had been receding, abruptly revived last year, with seaborne volumes estimated to have jumped by more than 60% from the 50mt seen in 2016. After the upturn unfolding last year, and amid continuing signs of positive influences which may persist through 2018, coal trade prospects could be broadly assessed as encouraging. Another sizeable increase in the global total seems possible, as import demand strengthens further. But great imponderables are visible. There is sufficient uncertainty — exacer- bated by a few perhaps completely unpredictable aspects — suggesting that precise predictions, especially of growth, are difficult to justify. One key aspect is the influence of government policy, which is subject to unforeseen changes and often has negative effects, in several large importing countries. In particular China and India, jointly comprising over one-third of world import demand, amplify this aspect. In these counties, commercial influences are widely modified by policy decisions affecting energy markets. Consequently there is scope for noticeably varying forecasts. Some are based on more positive assumptions or guesswork, pointing to a sustained upwards trend in global coal trade this year, at a moderate growth rate. Other predictions suggest that either a flat performance or a downwards change is more likely, given the underlying potential for reinforced negative influences to become more prominent eventually. The AGDIIS forecast for 2018 and next year, shown in the accompanying table, is an illustration of how trade could develop, based on a pessimistic view. World trade in steam and coking coal (including land movements, but mostly comprising seaborne shipments, as already mentioned) is forecast to decrease by 13mt or 1% in 2018, to 1,353mt. A further slight reduction to 1,335mt is expected in 2019. Weakness over the next two years is expected to be concentrated in China and the European Union, where large annual declines in the 5–8% range are envisaged. In the other countries listed individually in the table, annual volumes are expected to show only limited changes. Japan’s volumes could actually rise on this view, while India and South Korea see small decreases. Within the large residual category labelled ‘other importers’, many of which are Asian countries, a strengthening trend is seen as persisting. Focusing on prospects for the year ahead, 2018, a breakdown (which is not shown in the table) of trade movements into the two elements steam coal and coking coal, reveals that negative changes foreseen are concentrated in the steam coal sector. Coking coal trade is forecast to rise this year, by over 2% to reach 315mt. Conversely, steam coal trade is expected to decline by 20mt or 2% to 1,038mt, resulting in the overall reduction highlighted. Within that forecast for this year, a large 12mt or 17% fall in China’s coking coal imports to 59mt — which could be more than offset by other importers’ stronger volumes — is estimated. Steam coal imports into China this year are put at 198mt, only a minimal 1% decrease. Declining Chinese steel production levels are envisaged, partly explaining the reduced need for imported coking coal. Another reason implied is enhanced coal availability from domestic mines, although signs suggest this improvement might prove difficult to achieve. Reduced European import demand is another negative expectation. AGDIIS analysts predict a flat trend for coking coal imports into the EU, totalling 41mt in 2018, but steam coal could see a substantial 11mt (7%) fall this year, down to 144mt. Reasons are not elaborated in the latest commentary. However, it can be assumed that among considerations is the sustained pressure to reduce coal-fired power generation, a priority for environ- mental policy. Accompanying promotion of alternative cleaner fuel use, especially natural gas, and the heavy emphasis on renewable energy sources particularly wind power generation, is prominent. India is another country where potential for reduced coal imports is clearly visible, although the forecast shown incorporates only a minor decline of 3mt (2%) in 2018, to 187mt. Coking coal purchases from foreign suppliers could remain buoyant, raising the total for that coal type by one million tonnes (2%) to 50mt, assuming rising steel production and a shortage of good quality coking coal from domestic mines. By contrast, continued weakening of steam coal imports may result this year in a 3% reduction to 137mt, reflecting buoyant domestic coal production and some other influences. Despite the evident potential for unfavourable effects from government policy changes and other influences, a number of forecasters predict rising, albeit slowly rising, global coal trade at least in the next twelve months ahead. A 1% or 2% increase in 2018 has been suggested as a realistic possibility. Policy changes may not necessarily actually reduce import demand in the near future, while several perhaps only short-term factors could provide additional support. One favourable trend still seems likely to endure in 2018. Assuming that the world economy’s performance remains fairly vigorous, steel production could be buoyant, assisted by a pickup in capital investment spending which tends to be steel-intensive. Among countries relying on imported steelmaking raw materials, coking coal purchases may be strengthened. Buoyant steel output almost automatically implies a corresponding trend in coking coal consumption, since the majority of steel mills use the blast furnace method of production. Also, looking around the world, there are countries mostly in Asia where coal- fired electricity generation remains the preferred option. Reliable, economical extra power supplies are needed to satisfy rapidly rising demand for energy as economic development progresses and living standards improve. Additional coal imports into countries including Pakistan, Bangladesh, Vietnam and Thailand are foreseeable in the years ahead. Increasing imports by smaller buyers together are unlikely to offset big reductions in some of the larger importing countries in all future years, however. Nevertheless, enough potentially positive changes may assist in slowing the rate of decline in global seaborne coal trade. Moreover, policy changes having negative effects are often temporarily reversed or eased, especially when power shortages arise and coal, often imported, is the most or one of the most immediately available alternative resources.